Saffet steps into the new role following a lengthy career in the Turkey’s derivatives broker. One of the biggest forex brokers in Turkey, Integral Menkul Degerler, has selected its longtime veteran Saffet Ülker as the director of international markets. He previously served as the firm’s manager / head dealer of leveraged trades. Integral Menkul Değerler is a subsidiary of Ulukartal Holding, and is one of just a handful of FX brokers that are regulated and have a license from the country’s watchdog, the Capital Markets Board of Turkey. Saffet has been a mainstay at Integral Menkul since 2011 and his promotion comes after a lengthy stint at the financial service provider. He initially served as a leveraged trades specialist where he was in charge of executing company’s treasury operations. In addition, he was involved in designing financial risk management programs and providing financial and risk management support for clients who are actively trading commodities, foreign exchange and future contracts. 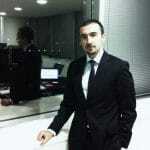 Before joining Integral Menkul, Ülker worked as a Treasury Specialist at Ulukartal Kıymetli Madenler from 2010 to 2011. He also served as trainee in business development departments at Spark Sabanci Holding and Urban Construction, part of a career dating back to 2006, according to information made public on his Linkedin profile. In his new capacity, Saffet will help develop financial risk management practices for the company, and maintain relations with domestic and international financial institutions. Earlier last year, Finance Magnates reported on Integral Menkul Degerler when the currency derivatives broker signed a two-year deal with Fenerbahce. The sponsored football club is one of the big three rival teams in Istanbul, Turkey’s biggest city with a population of almost 14 million.